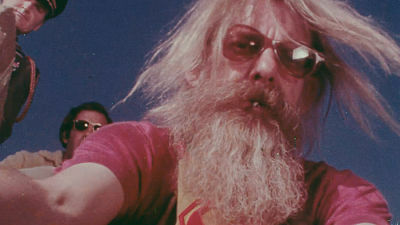 This engaging look at Hal Ashby, the New Hollywood director who gave the world Shampoo, The Last Detail, Harold and Maude, Coming Home and Being There, toots the much-overdue horn for the bearded, love-bead-wearing hippie filmmaker by championing an impressive career that has been overlooked, especially compared to others who flourished in the same golden era, like Spielberg, Lucas, Coppola and Scorsese. Using talking heads, archival footage and film clips, writer-director Amy Scott’s effort takes on a lot of fascinating personal stuff, bringing us back to Ashby’s troubled Mormon upbringing in Utah and his years toiling in the film industry as an assistant editor for legendary tough-as-nails directors William Wyler and George Stevens. She then moves on to his subsequent lead editor duties for Norman Jewison (which won him an Oscar for In the Heat of the Night) and his ascension to the director’s chair with 1970’s The Landlord, an edgy satire dealing with racial issues. There’s a sadness that permeates the film, as Ashby eventually loses his mojo after that impressive run of critical and box-office hits in the 1970s. Trouble begins in the early 1980s with personal problems agitated by studio interference, excessive drug use, and several failed marriages and relationships. Ashby’s life continues to spiral downhill towards the end of the decade and he succumbs to cancer at age 59 in 1988 after a stretch of box-office duds including the 1982 Jon Voight gambling yarn Lookin’ to Get Out and the Oliver Stone-penned 1986 thriller 8 Million Ways to Die starring Jeff Bridges. Helping to tell his rollercoaster-like story are the likes of performers who worked with him such as bridges and brother Beau, Rosanna Arquette, Lou Gossett, Jr., and Voight and Jane Fonda, who teamed with Ashby for Coming Home, one of the first Vietnam War-themed dramas. Also adding insights are filmmakers Judd Apatow, Alison Anders, David O. Russell, mentor Norman Jewison; Shampoo and The Last Detail writer Robert Towne; musician Cat Stevens; and the late cinematographer Haskell Wexler who shot Ashby’s stunning 1978 Woody Guthrie biopic Bound for Glory. Conspicuously absent for new interviews here are collaborators Bud Cort, Warren Beatty and Jack Nicholson. 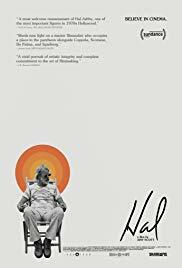 Like other documentaries focusing on directors who had their heydays in the Seventies like Altman (2014) and De Palma (2015), Hal is a nice primer on its subject, but doesn’t delve too deep into some of the filmmaker’s lesser known works. Those familiar with Ashby’s career will remain curious about Second-Hand Hearts (aka The Hamster of Happiness), starring Robert Blake and Barbara Harris, and his musical collaborations with the Rolling Stones and Neil Young.